On the weekends, we always have something to do around here. 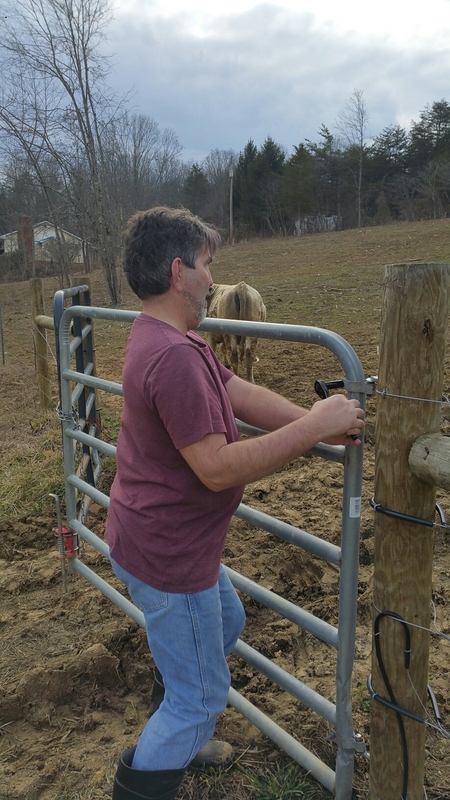 Two weekends ago, we had to fix a gate that Ted noticed was ready to fall off the main pasture! Who wants to chase cattle? NOT US. We’ve been there and done that, and it’s only fun the first two times! 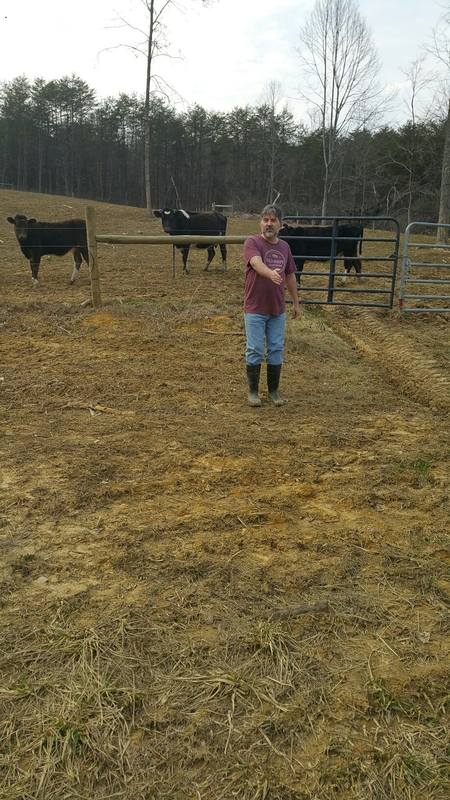 Luckily, the weather was in the 70s that day, and we had fun doing the farm chores together. 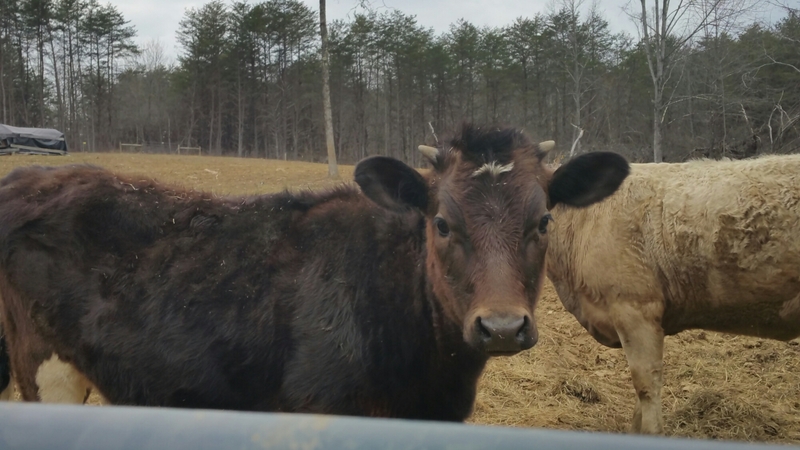 The cattle are always so curious any time we do anything they can see down there. So many people think they’re these big dumb animals, but they’re not. Each has a personality and curiosity all her own. After the gate was fixed, Ted showed me his idea for the sacrifice pad (it’s not what you think it is – a sacrifice pad is basically an area for the cattle for winter so they don’t ruin the entire pasture by tearing it up when it’s wet and mucky, making big hoof shaped holes where it’s hard for grass to grow in the spring). 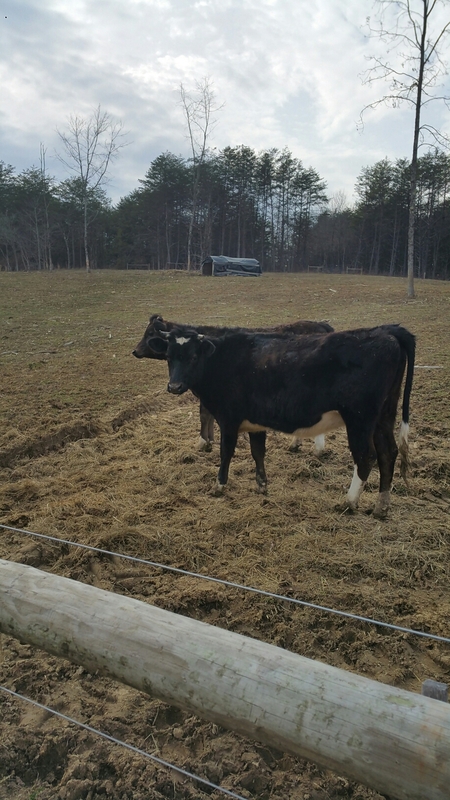 The cattle were super interested in that, too. We’ve got big plans for the next three years on our farm, and this step starts the new process! 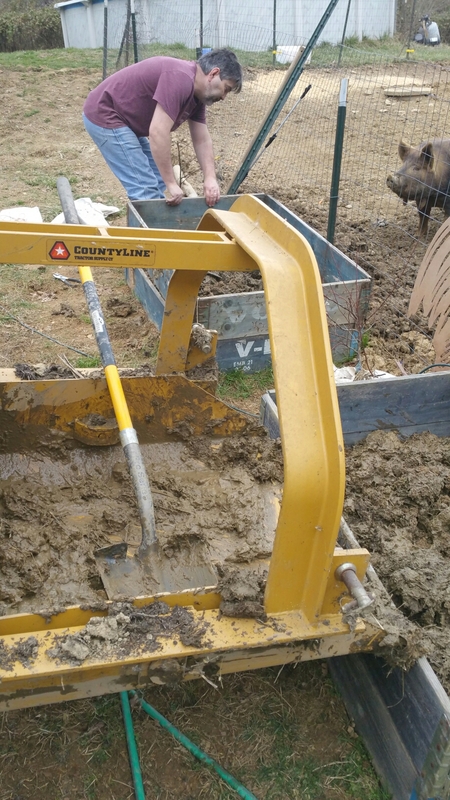 Afterward, he hooked up the scoop and took a huge bucketful of cow manure to my two small raised beds so it could compost on top of all the henhouse bedding that I put there this past fall. That stuff was HEAVY! He had to shovel it out of the scoop because it just wouldn’t come out when he tried to dump it. Yep, it stunk up at the house for a couple of days, but it seems to have gone away (or I’m just nose blind to it now LOL). Here’s hoping I can top this with good black dirt soon and get some sugar peas growing on the first day or spring! I want a good garden every year, but I’m horrible at growing plants. Here’s hoping this is the year that changes! Martha and the Farm Barbie are readying their raised beds, so I figure since they have these huge gorgeous gardens, I’ll follow their leads this year and just copy all they say they’re doing in their gardens. My fingers are crossed that this approach works!!! Belle hopes so, too. She’d really like some fresh veggies for her snacks again.